Cancer is the second-leading cause of death in the United States, responsible for 22.5 percent of American fatalities. Only heart disease is more deadly. In Israel, cancer is the No. 1 killer. That’s partly why Israel has become a research leader in the fight against the disease. Many of the world’s most effective cancer treatments have roots in Israeli research, sometimes going back decades. The work taking place in Israeli labs today may lead to lifesaving treatments years in the future. Here are five promising areas Israeli researchers are studying in their quest for better cancer detection and treatment. Together they provide a glimpse into the remarkable scope of cancer research being conducted by internationally renowned scientists across Israeli institutions. Mutant reeducation may sound like the plot of the next “X-Men” movie, but for a team of Israeli researchers it could be central to finding new treatments for ovarian cancer, an especially deadly disease because of the difficulties of early detection. This year, 22,440 women in America will be diagnosed with ovarian cancer and 14,080 will die from it, according to American Cancer Society estimates. The protein, p53, stops the formation of tumors. But when p53 mutates, it makes cancer cells more malignant and boosts their resistance to drugs. Rotter and her team have identified a small number of molecules that are able to “reeducate” mutant p53 and restore it to its role scanning for damaged DNA and stopping the development of tumors. They are also looking for methods to reeducate the mutant p53 to fight and eradicate mutant cells. Rotter hopes her team’s research will result in methods that can be applied along with immunotherapy to give women with ovarian cancer a better chance of beating the disease. Restoring infertility? Hit the restart button. For many cancer patients, surviving is just the first part of the battle. They often face serious lifelong problems, such as infertility or the loss of healthy tissue that is highly difficult to regrow. “How do you replace damaged body parts?” asked Dr. Jacob Hanna of the Weizmann Institute. The key, Hanna and many others believe, lies in stem cells. Stem cells are early-stage cells that are capable of dividing into infinitely more cells and have the potential to become different cell types, such as bone, skin or muscle. Stem cells can help repair damaged tissue. Hanna is using ICRF funding to research ways to take cells from healthy areas of the patient’s body and turn them back into induced embryonic stem cells — the equivalent of the first cells with which each human body begins. Because the stem cells in Hanna’s model would come directly from the patient’s DNA rather than from a donor, the tissue would not face rejection. Reverting the cells to their beginning state would be “like hitting the restart button of your computer,” Hanna said. The treatment would be unique. Currently the only proven stem-cell therapy in use is centered on transplanting bone marrow. There are no stem-cell-based treatments for replacing organs or tissue other than blood. But Hanna believes stem-cell treatments are going to become reality in the next 20 years, and restoring fertility to infertile cancer survivors could be one major benefit. For example, scientists could make an unlimited supply of female eggs by growing stem cells in a dish and freezing them. To fight brain cancer, think small. Very, very small. Glioblastoma, a particularly aggressive and deadly form of brain cancer, carries a very grim prognosis: Patients have a median survival time of about 15 months from the day of discovery. Tel Aviv University researcher Dr. Dan Peer is seeking ways to fight brain tumors using a targeted nanoparticle platform to transport drugs directly to the sites that need treatment rather than a more general chemotherapy or surgery. Targeted treatments the size of a nanometer – a millionth of a millimeter — would minimize the effects on the rest of the body by targeting only the cancer cells and avoiding healthy cells nearby. The delivery vehicle would be RNA — ribonucleic acid, whose main role is to carry instructions from DNA. It is one of the three major biological macromolecules essential for all forms of life, along with DNA and proteins. By binding the RNA to a nanoparticle platform, researchers hope to bypass the hurdles that usually thwart drug delivery by specifically targeting the problem areas of the tumor. “The fact that nanomedicine can get around many of the obstacles that hinder drug delivery could mean a greater quality of life and life expectancy for patients suffering from highly deadly forms of cancer like glioblastoma,” Peer said. He and his colleagues are also using their ICRF research grant to examine ways to design drugs suited to a patient’s specific genetic profile and then develop appropriate nanoparticle delivery vehicles. By carrying the drugs specifically to the cancer cells and not to the healthy ones, the treatment will have fewer adverse effects and toxicities for the patient while maximizing the drugs’ therapeutic effect. We’ve all had moments in life that spark our survival instincts under stress. Humans aren’t the only ones that use chemical processes to survive stressful situations. To survive high fevers, for example, organisms as small as cells deploy the “heat-shock response” — activating proteins called chaperones that help cells maintain their structure and not melt down in the event of high temperatures. Tumors, too, use the heat-shock response to increase their odds of survival and grow ever-more malignant. For tumors to expand and metastasize, they “recruit” non-malignant cells in the tumor microenvironment and get them to work for them and help them evade the immune system. 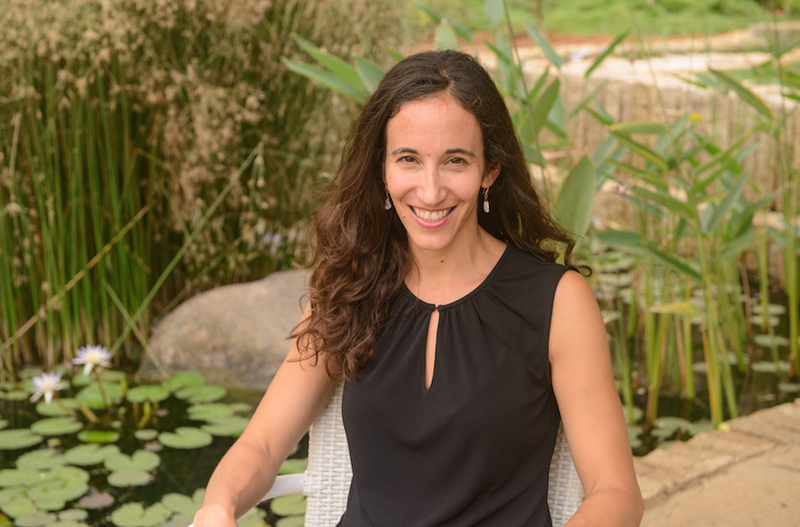 Dr. Ruth Scherz-Shouval of the Weizmann Institute is studying the tumor microenvironment to determine how the non-cancerous cells get reprogrammed to act against the body and support the tumor rather than defend the body against the tumorous growth. Scherz-Shouval compared treatment in the microenvironment to rehabilitating a nonviolent offender who can still be put on the right path — unlike a hardened felon (the tumorous cell) who is too far gone to save. Think rehab for non-malignant cells. The research is relevant to solid tumors and specifically to carcinomas — a cancer arising in skin tissue or the lining of internal organs. Scherz-Shouval has found a correlation between the heat-shock response and poor patient survival in late-stage breast and lung cancer. She hopes her research, backed by the ICRF, will lead to a more generalized way to target cells in the microenvironment that will complement current cancer treatments and give patients a better chance at recovery. Israel has the fourth-highest per capita rate of leukemia deaths worldwide. In America, leukemia kills more than 24,000 people per year. Most leukemia treatments today focus on chemotherapy, steroid drugs and stem-cell transplants. 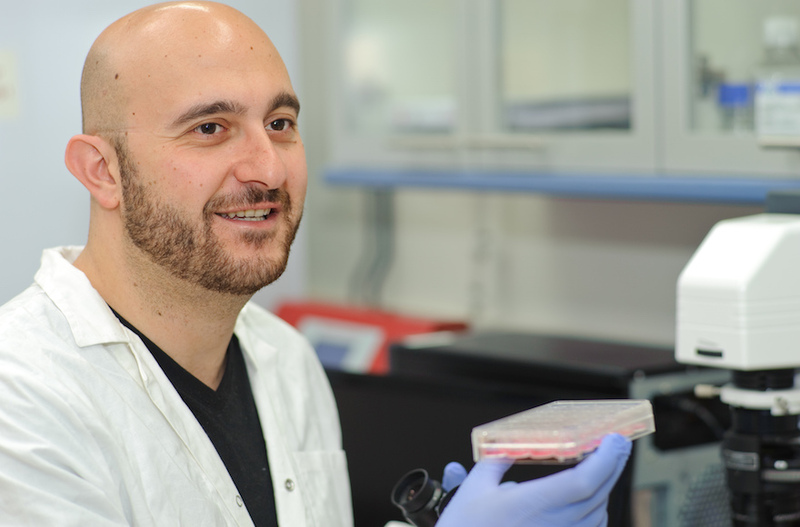 But Ben-Gurion University of the Negev researcher Roi Gazit is on the hunt for more effective, targeted treatments. Gazit is focusing on how to develop targeted treatment of cancer cells using hematopoietic stem cells — stem cells used in cancer treatment because of their ability to divide and form new and different kinds of blood cells. The research involves taking primary cells — cells cultured directly from a subject — and turning them into malignant leukemia growth inside mice. By examining how the leukemia develops, Gazit is exploring ways that hematopoietic stem cells may be deployed to arrest the leukemia. The research models his lab is using, part of a project supported by the Israel Cancer Research Fund, could help scientists develop more types of immunotherapy and more ways to use stem cells to combat leukemia. “With any new information we can gain better understanding, which translates into better treatment,” Gazit said.